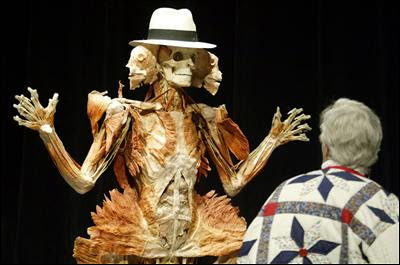 Muscles and face peeled back on this Body Worlds display. Body showing its veins at Body Worlds exhibit. 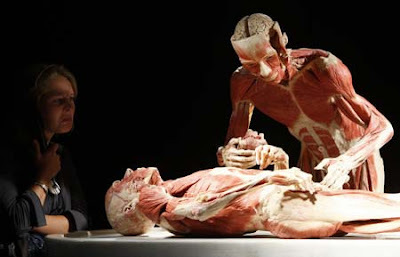 Dead man looking over a dead man at Body Worlds. 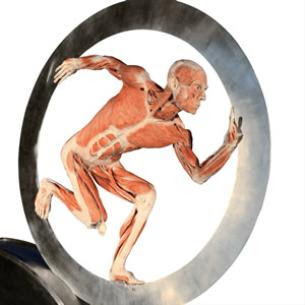 Skinless man in stainless steel disk at Body Worlds. 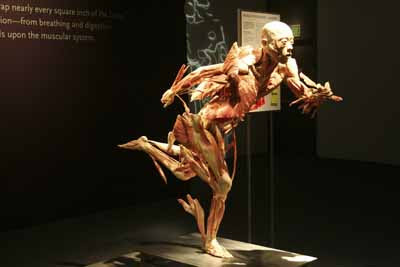 Running man at Body Worlds with muscles pulled back.